This Diamond Cross Ring is just one of many exquisite custom jewelry creations from Valeria Custom Jewelry. The crosses going around the ring are accented with 4, 1.5mm diamonds, but other stones can be used. The cross can also be made wider to accommodate larger stones. Contact us with your idea if this isn’t exactly what you are looking for and we will see what we can do for you. 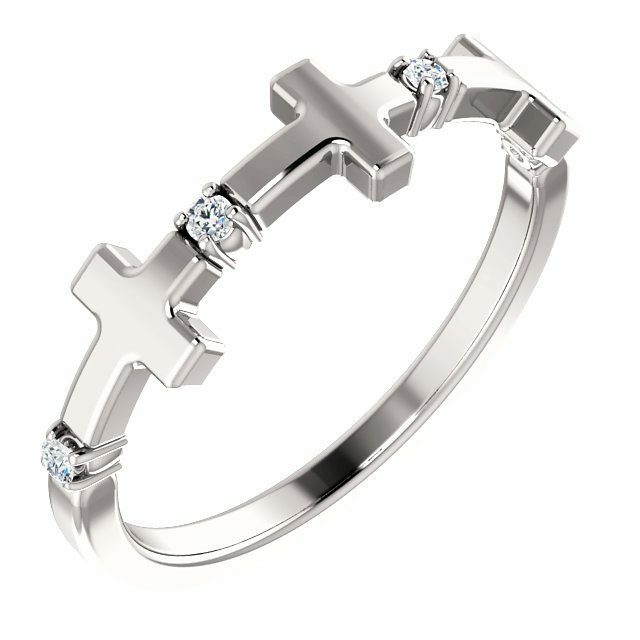 The listed price is for Sterling Silver Diamond Cross Ring with I1 clarity, HI color diamonds. Click HERE to see another of our Diamond Cross Ring designs.